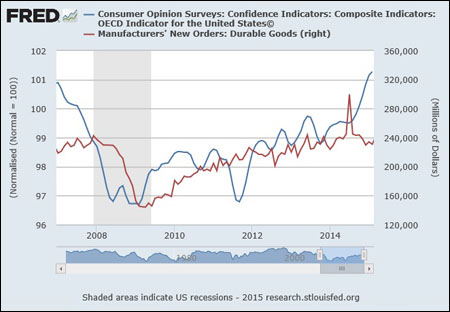 Finally, there is the capacity utilization rate’s dramatic divergence from consumer confidence readings. Our capacity utilization chart below measures the percentage at which total industry in the United States is operating. 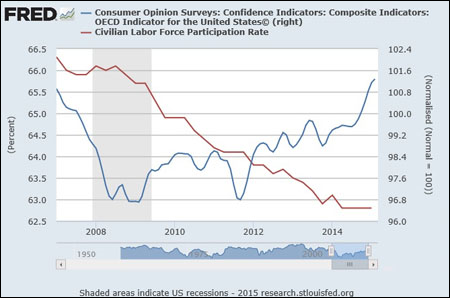 A falling percentage rate means there is growing slack in the economy. If business is running at 78.4 percent of its capacity, that means there is room to grow 21.6 percent before there is need to build a new plant. 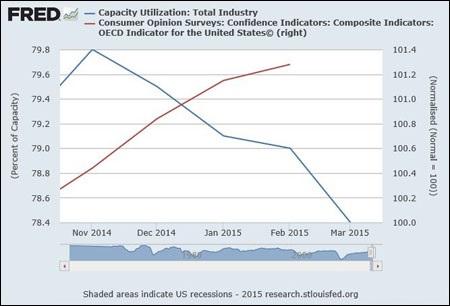 Clearly, a declining level of capacity utilization is nothing to cheer about for consumers who are actually paying attention. TLB recommends you visit Paul Craig Roberts for more great/pertinent articles.